Hamilton County Public Health (HCPH) is the primary agency responsible for protecting the public’s health in the event of a widespread public health emergency within the 45 jurisdictions within Hamilton County that it serves. A public health emergency is defined as an immediate threat from a naturally occurring or intentional event that poses a high risk of fatalities or serious long-term disability to large numbers of people. The primary role of HCPH during disasters is to protect the health and well-being of those affected. In natural disasters such as tornadoes, storms, and power outages, protecting the health of affected individuals usually involves: inspecting public shelters to ensure food safety and proper sanitation; advising officials on the need for evacuation and when it is safe to return home; ensuring the safety of the water supply; inspecting restaurants and other facilities to ensure they are safe to reopen; and assessing the impact of the disaster on the environment. In all of these situations, HCPH’s goal is to make sure that the disaster situation is not worsened due to unsafe conditions that cause people to get sick during the recovery phase of the incident. Within HCPH, the Emergency Preparedness (EP) Program works with numerous jurisdictional partners, emergency responders, private and public sectors, non-governmental organizations and volunteer organizations to mitigate, prepare for, respond to, and recover from the effects of emerging infectious diseases, pandemics, chemical, biological/radiological emergencies along with other non-specific public health emergencies. The EP Program maintains plans, standard operating guides (SOGs) and supporting documents that guide preparedness, mitigation, and response activities. The EP Program actively engages both our employees and volunteer support partners in training through classroom sessions, drills, and exercises to help plan and prepare for public health emergencies. The emergency response plan is the health department’s basic plan for response to disasters of all types. Please see Emergency Response Plan to access HCPH’s Emergency Response Plan. If you have any comments on the emergency response plan, please email EmergencyPrep@hamilton-co.org. For more information about HCPH’s EP Program, please call (513) 946-7940. 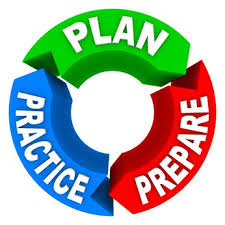 Take part in disaster preparedness training and exercises to evaluate local emergency response during and after disasters (such as floods, winter weather and tornados), accidents (such as fires and hazardous materials spills), pandemic flu and acts of terrorism.